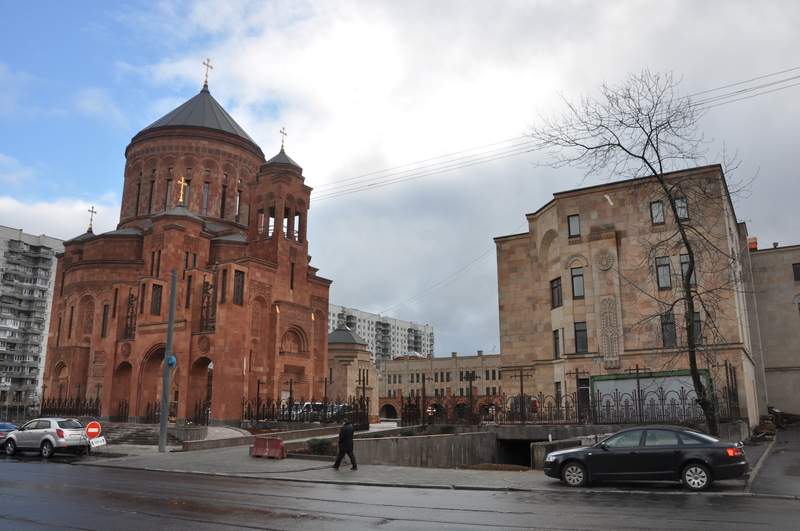 The Armenian Church compound built in the center of Moscow occupies territory of 1.32 hectares. The construction work based on a new design commenced in 2006. 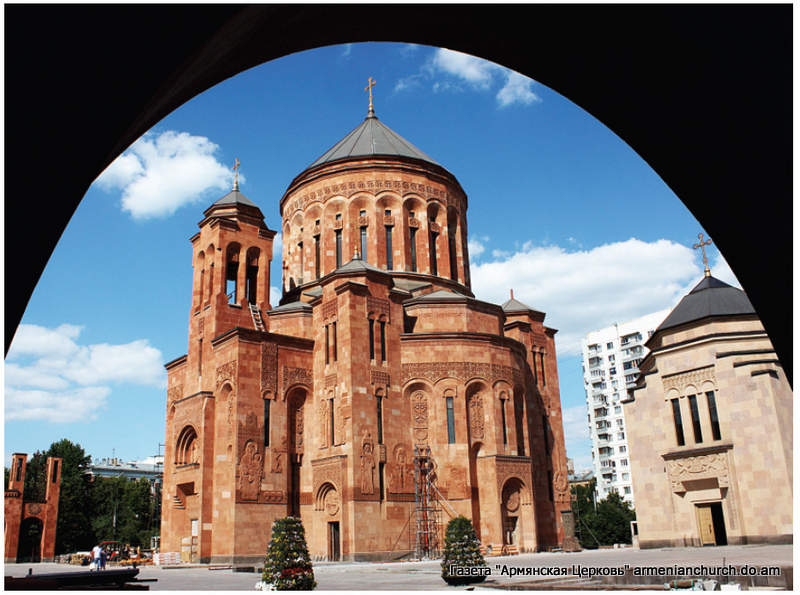 The compound comprises the Cathedral, a small Saint Cross church, the building of the Diocese administration, reception and conference halls, and a museum. 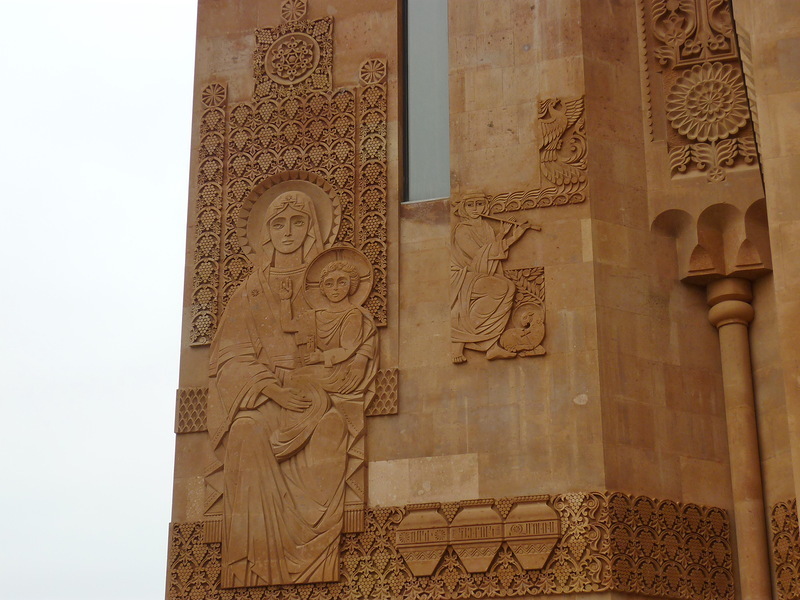 The structure is built in the traditions of the Armenian architecture. 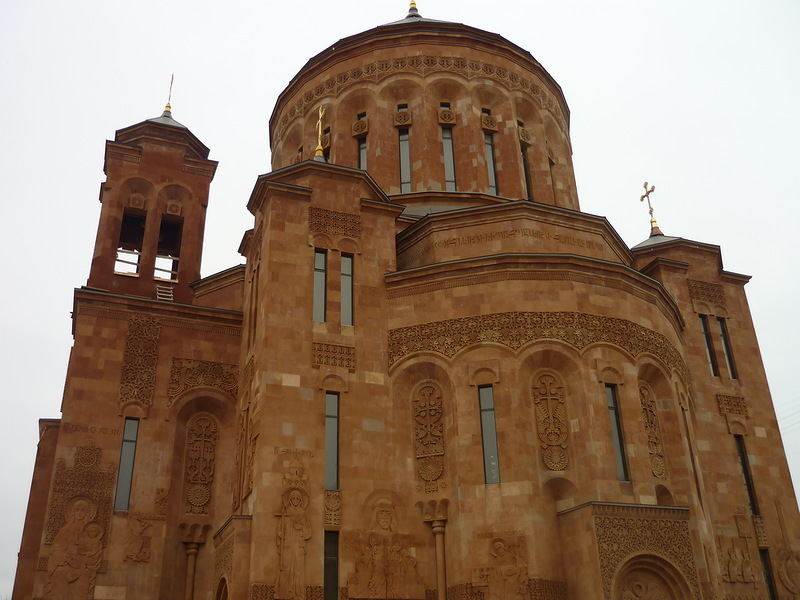 The Cathedral is built of the rose-colored tuff, while the other structures – in light apricot color tuff. The tuff has been delivered from the town of Ani. 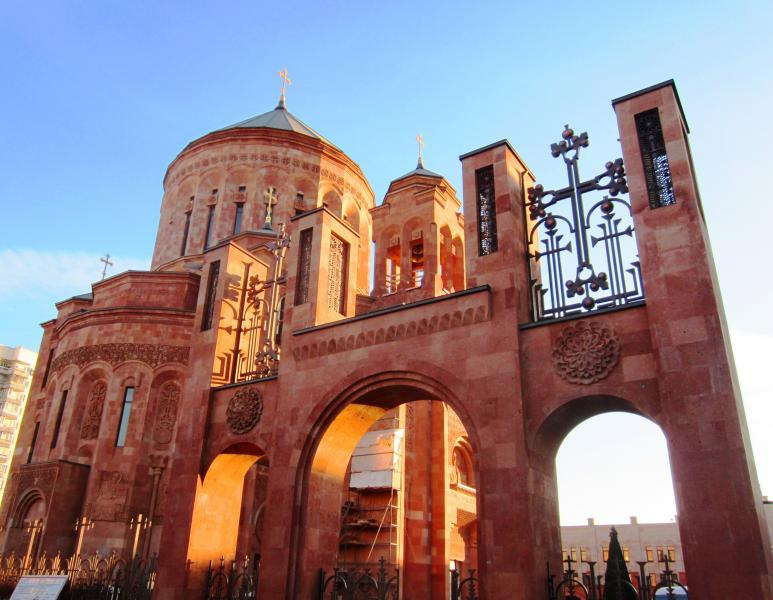 The gem of the compound – Cathedral of rose-colored tuff – is girded with crosses, statues and Armenian letters. 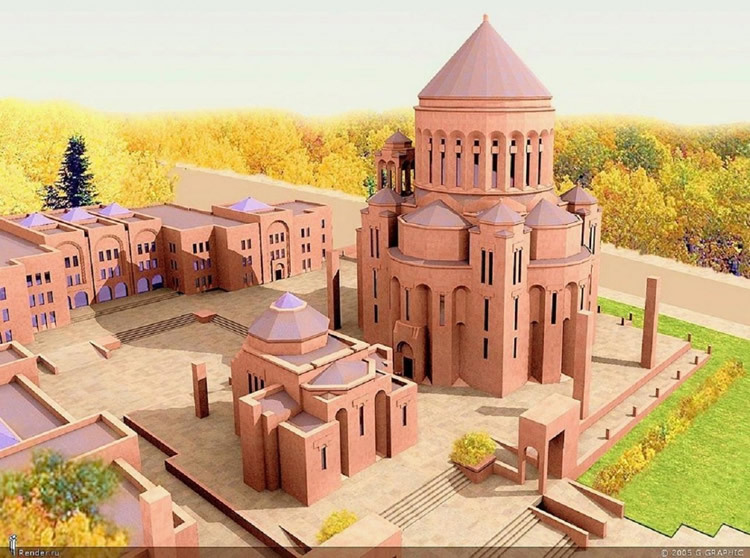 New Armenian cathedral in Moscow, Russia. 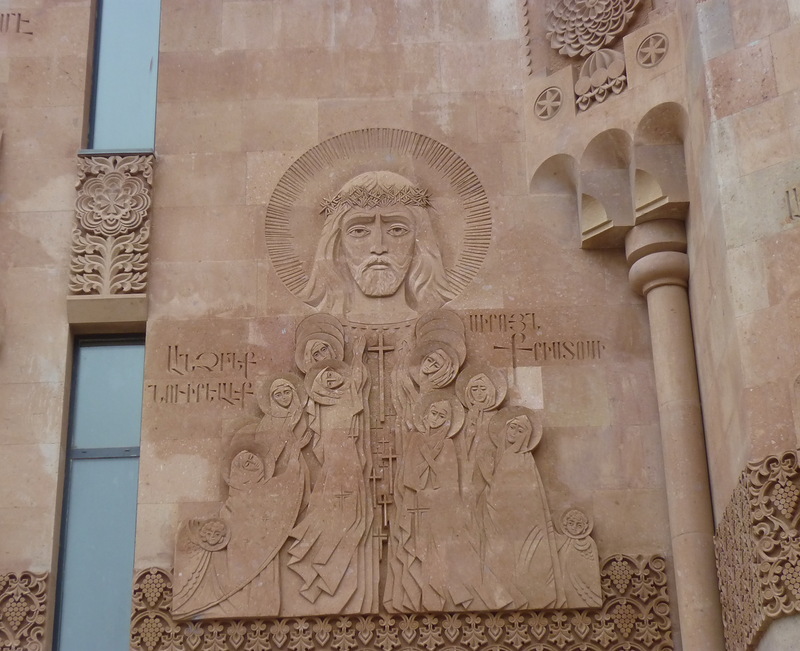 Next Article Long lost Armenian monastery found inside a rock! It’s about time we have the most solid and the best looking modern Church of Christ around! After all, we were only the first nation in the world to embrace Christianity as our state religion. For those not yet aware, this happened back in the year 301 AD, way before everybody else. Sure, there were Christians at the time, but no countries stated themselves as Christian nations. 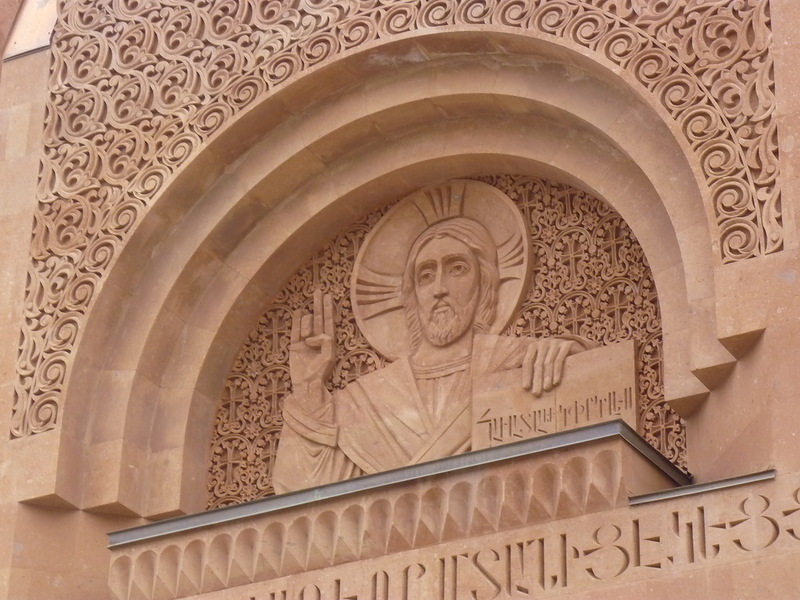 Note: material “TUFF” (pronounced as “TOOF”) is a very hard stone you can only find in Armenia.